“Beaker Street’s original background music came from the Dream Sequence in the movie Charade and was by Henry Mancini”. This statement in varying degrees can be found all over the internet in blogs and websites referring to Clyde Clifford, KAAY, and Beaker Street. Having been a listener to the show long before the “Head” background era, I was more intrigued with the origins of the original sounds. 1. There is no “Dream Sequence” in the movie “Charade”. There is one brief scene where they enter a hotel lobby and a man is seen asleep in a chair. That short scene’s score doesn’t match up. 2. Any music in the movie that sounded anything close to the background bed was not released until 2012. 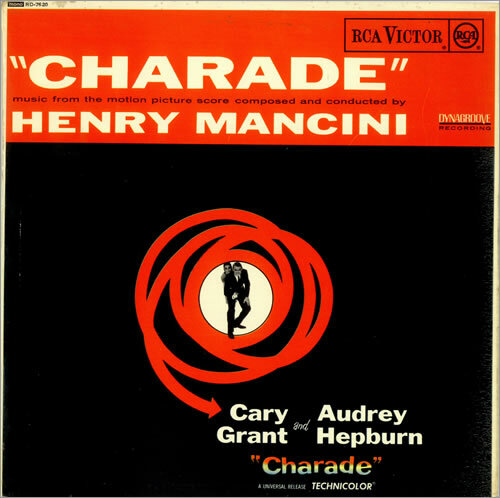 The original Mancini Charade Soundtrack album from 1963 was a re-recording of selected music from the movie. None of the music on that release resembles the Beaker Street background even remotely. 3. In 2012 the original complete soundtrack from the movie “Charade” was release for the first time ever. It included a whopping 15 more tracks than the 1963 Soundtrack release. JACKPOT! Or so I thought. Although there are passages that resemble the swirling, rising, crescendo heard as the base of Clyde’s background sound, I had a very hard time identifying anything positively in those extra tracks. Bust aside from all that, the music in the 2012 soundtrack release WAS NOT even available to the public in 1966-67. It would have had to been taken directly from the movie which, back then without consumer video or even in most cases audio output jacks on TV’s, would have not been very possible. An ominous swirling orchestration rising to a slow crescendo as the base. A weird “clock ticking” sound that comes in and goes out. A “steam whistle” sound that comes and goes. A high pitched feed- back type "squeal. Some trippy electronic “space sounds”. Whatever the origin, it’s obvious the original was put together using several different sources of sound. What I needed to match up was the ominous swirling orchestration being used as the base of the production. That’s the only part that could have been from Mancini, and it did not come from the movie “Charade”. Next: Could the original background music have come from a completely different movie scored by Henry Mancini and released in 1966? A few statements on the internet point to a movie called “Arabesque” also scored by Mancini and containing a trippy track entitled “Dream Street”.